Με απόλυτη επιτυχία διοργάνωσε ο Όμιλός μας τα Πανελλήνια Πρωταθλήματα Bic Techno και Bic Techno Plus 2017. 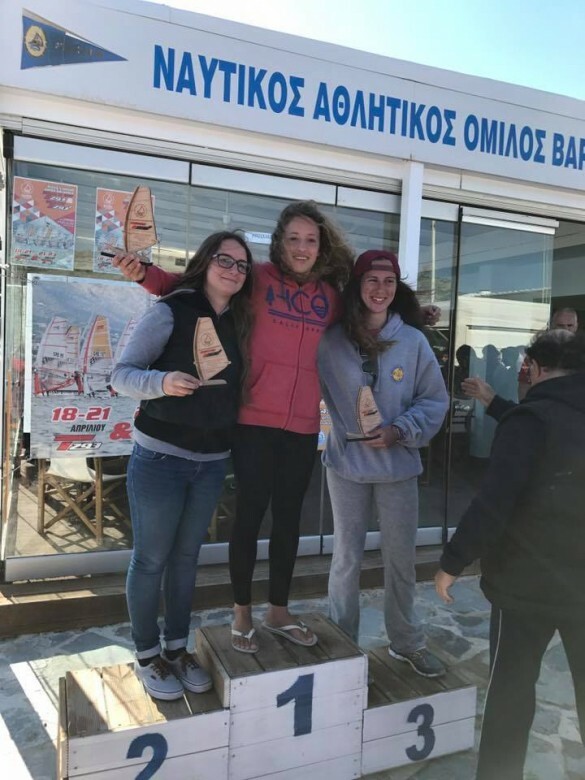 Το επίπεδο των αθλητών ήταν όπως αναμενόταν πολύ υψηλό και επικράτησε το αθλητικό πνεύμα ανάμεσα σε αγωνιζόμενους, προπονητές και επιτροπή αγώνων σε όλη τη διάρκεια των έξι ημερών. 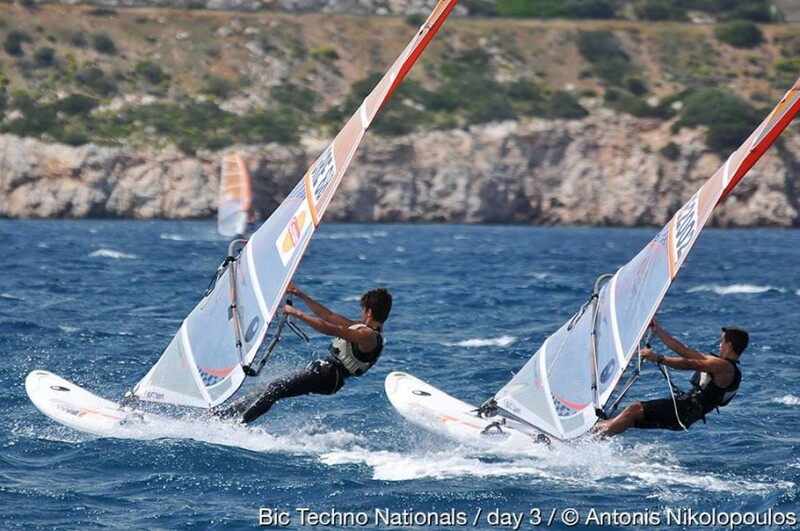 Από πλευράς καιρικών συνθηκών, στο Bic Techno είχαμε τα πάντα εκτός από τον συνηθισμένο βοριοανατολικό της Βάρκιζας, ενώ στο Plus είχαμε δύο μέρες με χαμηλές εντάσεις και μία με δυνατό βοριοανατολικό. 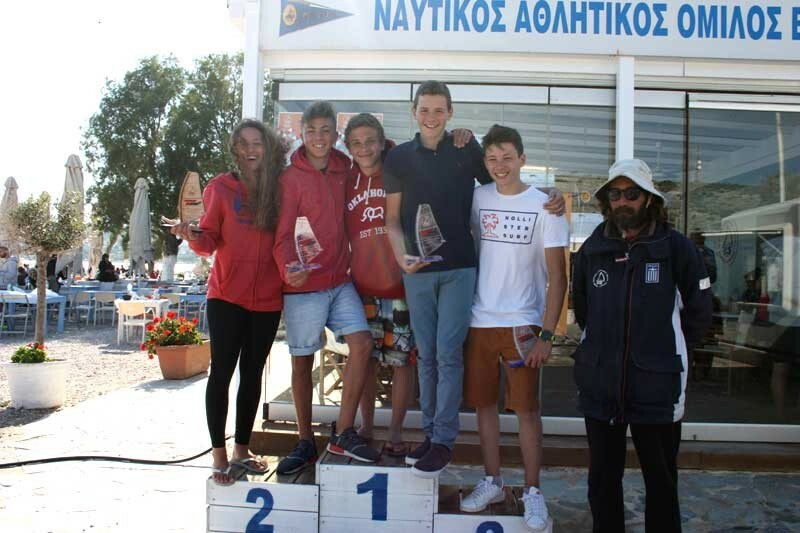 Μαρίνα Χερουβείμ 4η U17 κοριτσιών, ενώ τυπικά αγωνίζεται στην κατηγορία U15 η οποία λόγω λίγων συμμετοχών ενσωματώθηκε στην U17. 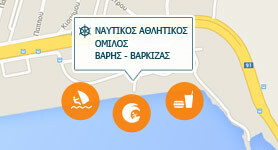 Οι υπόλοιποι νέοι αθλητές μας έκαναν πολύ καλή εμφάνιση, δοκιμάζοντας τις δυνατότητές τους κάτω από δύσκολες καιρικές συνθήκες, δίπλα σε καταξιωμένους αθλητές. 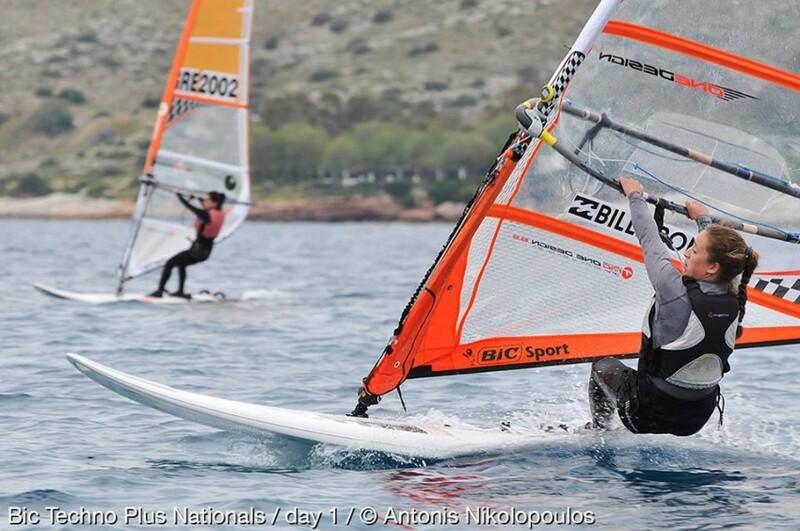 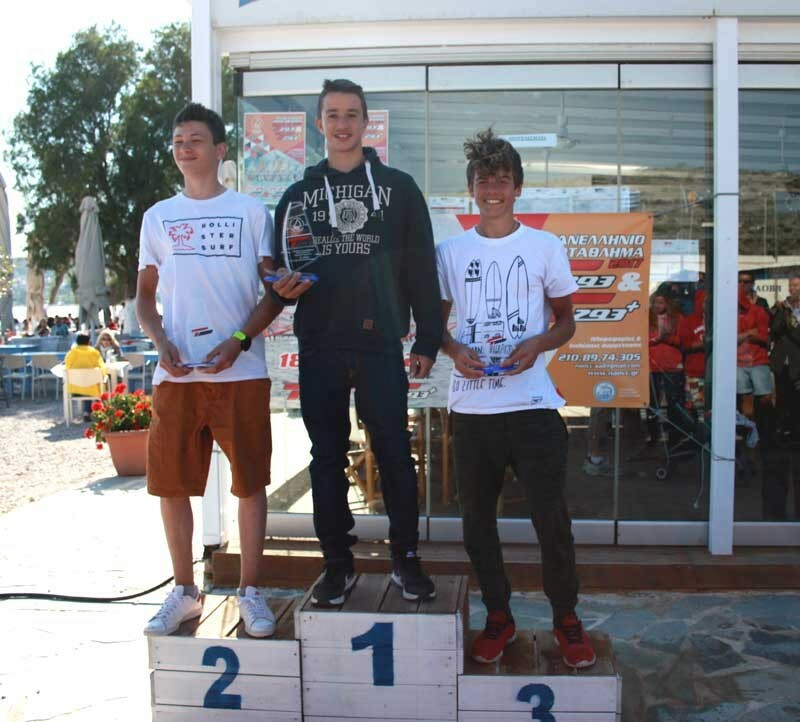 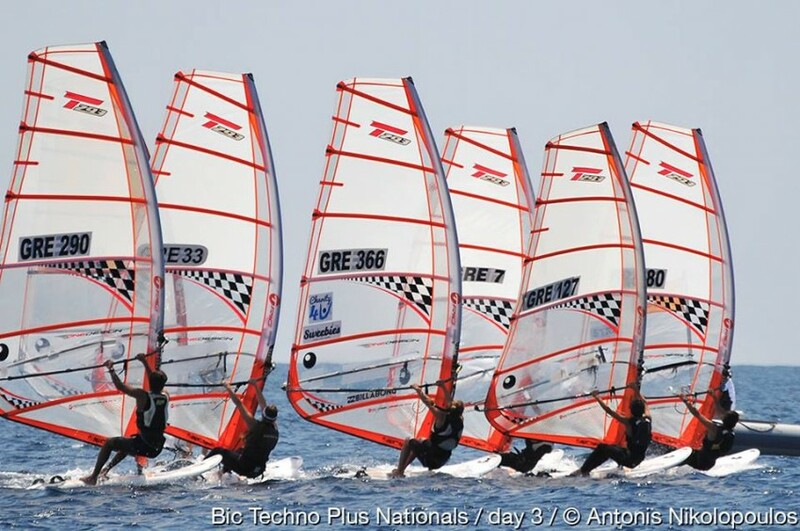 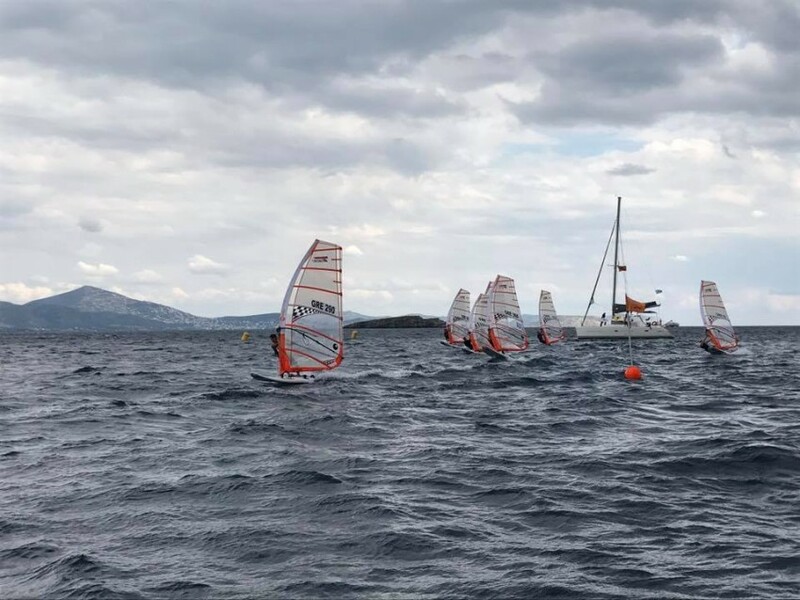 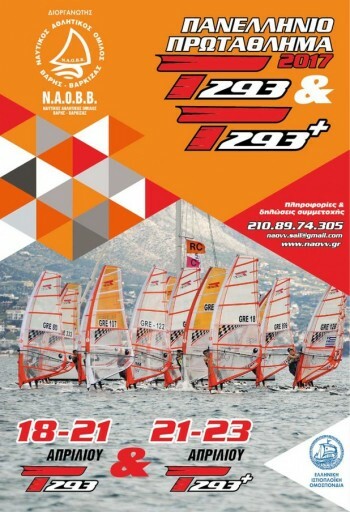 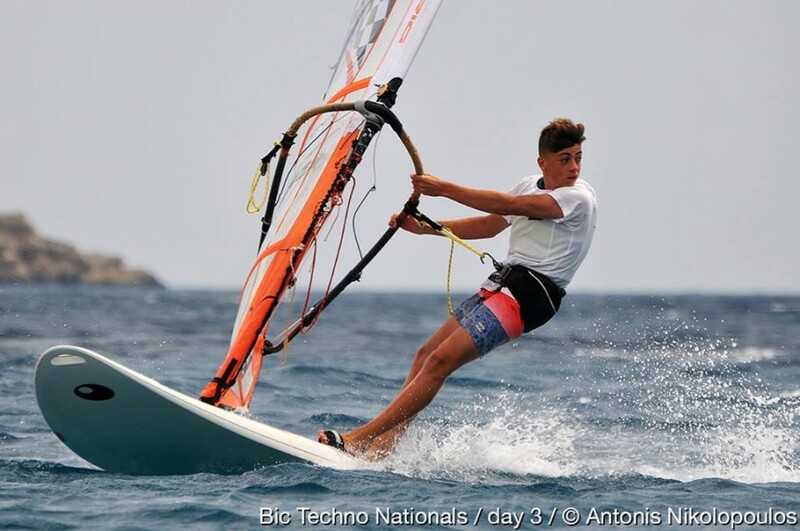 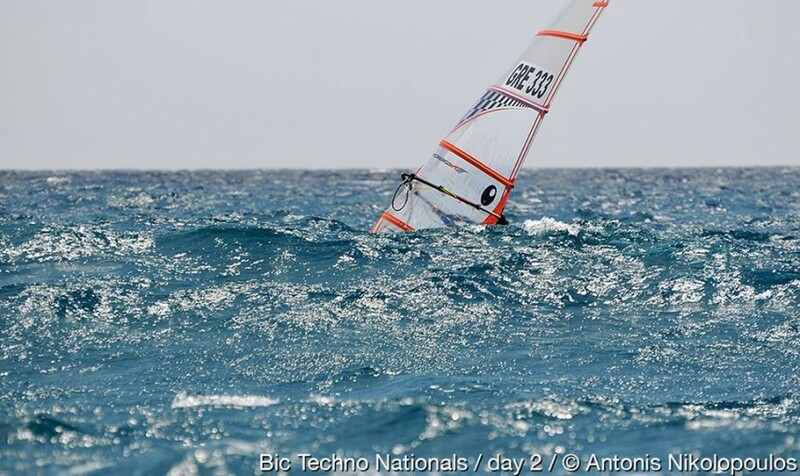 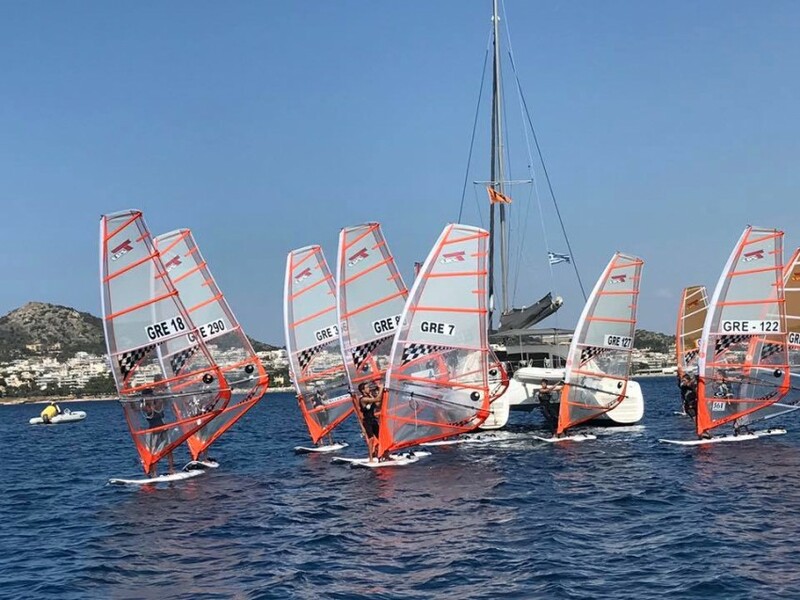 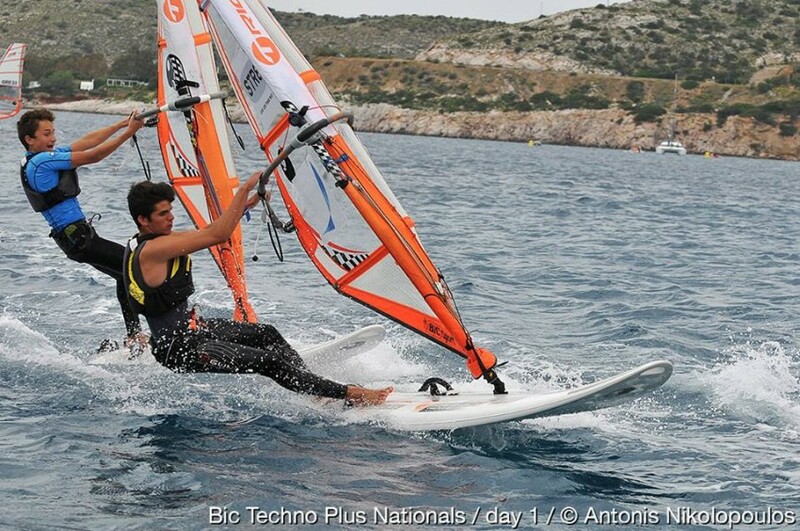 The last six days have seen some great windsurfing competition on the waters of Varkiza Athens, as the T293 and T293 Plus Greek National Championships took place. 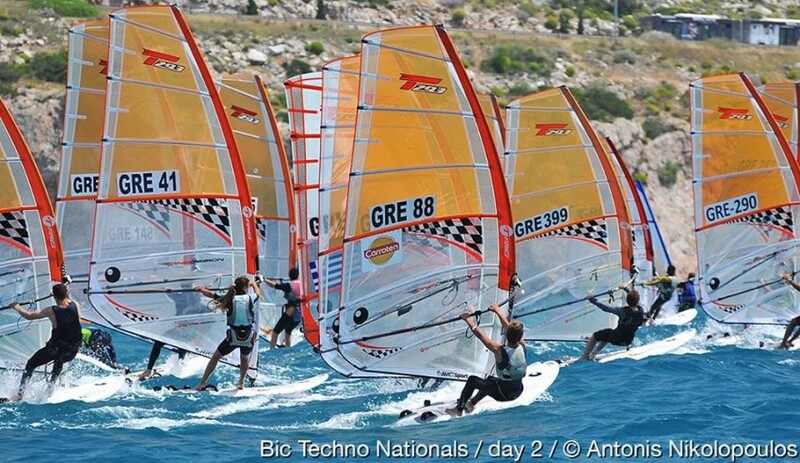 This year it was N.A.O.V.V the nautical club of Vari Varkiza that undertook the responsibility to organize and host 2017 Techno Greek National Championship. 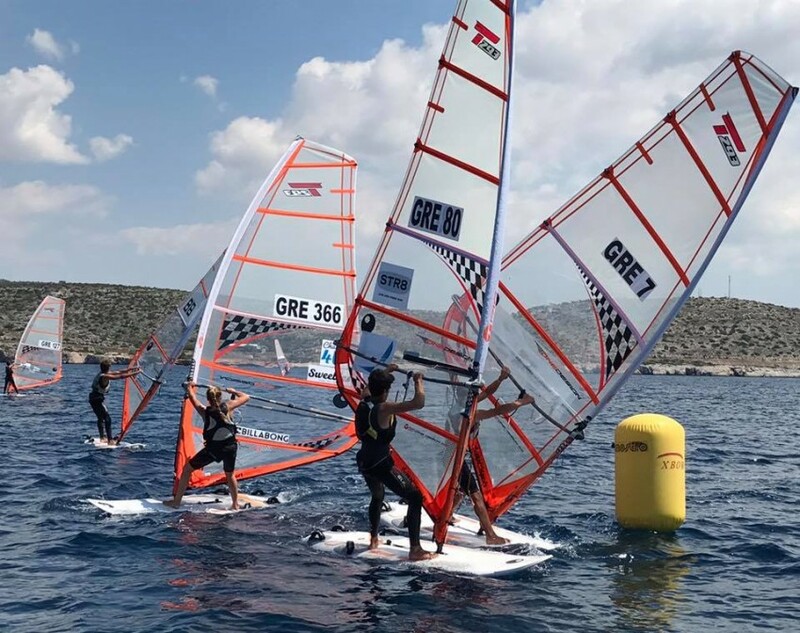 Varkiza is known all over Greece as an ideal venue for top class windsurfing and surely presented various challenges and conditions for all the competitors. 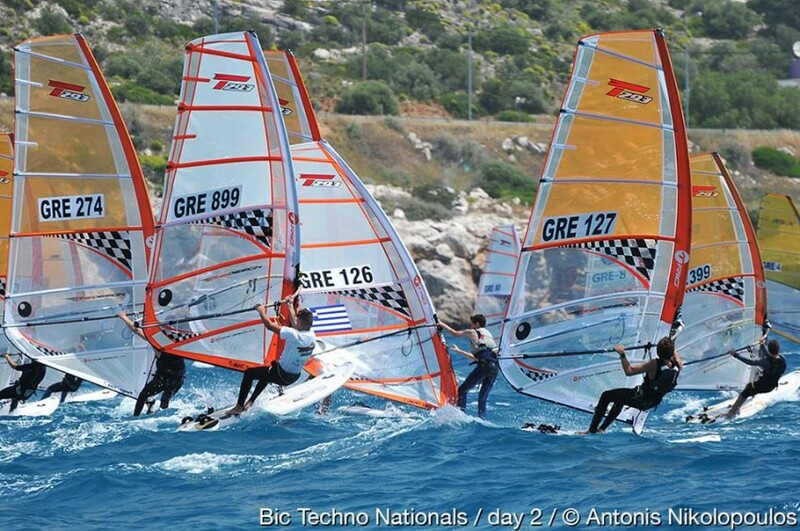 The first couple of light wind days didn’t stop the action at the T293 Greek Championship in Varkiza. 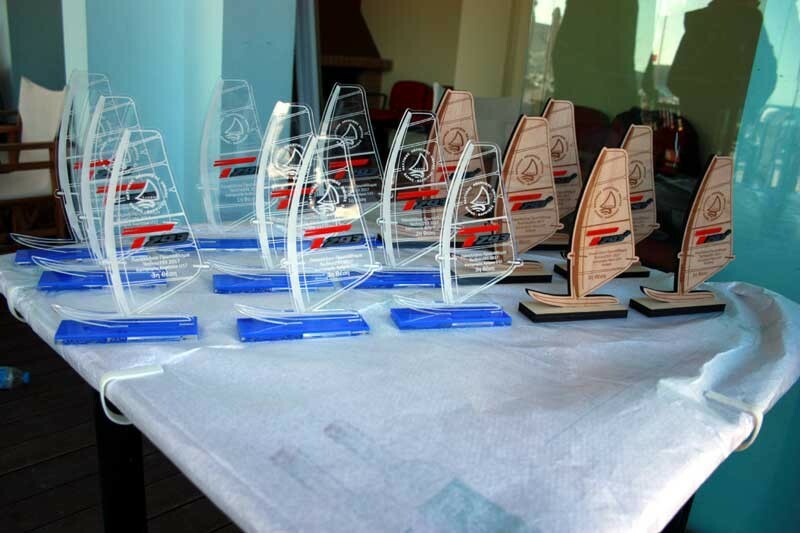 Race committee managed to complete ten races, enough to challenge all of the groups.Sunny and windy conditions arrived just in time for those crucial races, and allowed for some spectacular action for all of the 53 athletes that competed in the T293 class along with the 17 athletes that fought hard in the T293 Plus Division. 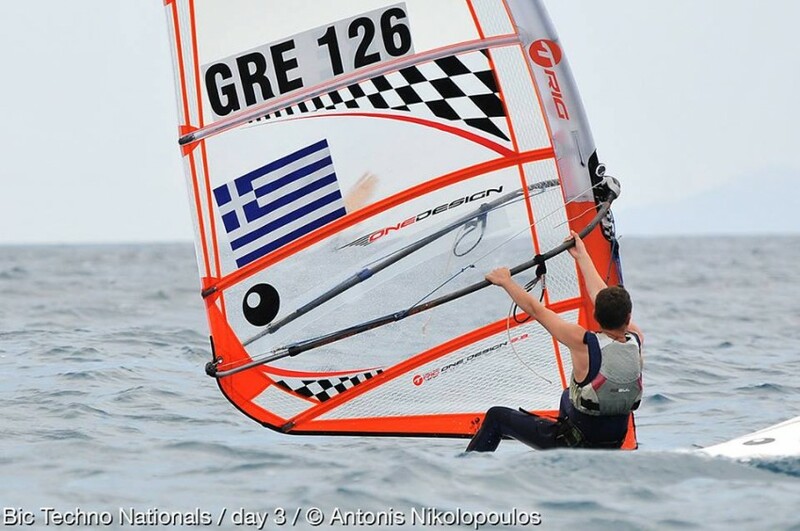 The windsurfers contesting the youth boy’s U17 competition certainly kept the spectators on the edge of their seats. 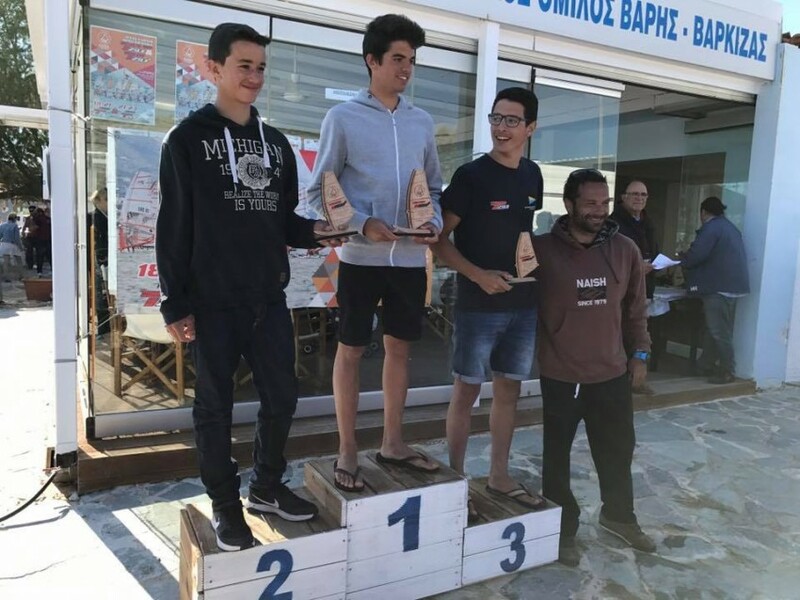 Race victories were shared between a large selection of the competitors and kept the standings close throughout the regatta, before Kalpogiannakis Alexandros GRE 2002 took the victory followed by Kogias Haralambos GRE 107 in 2nd and Tsortanides Peter GRE 88 in 3rd. 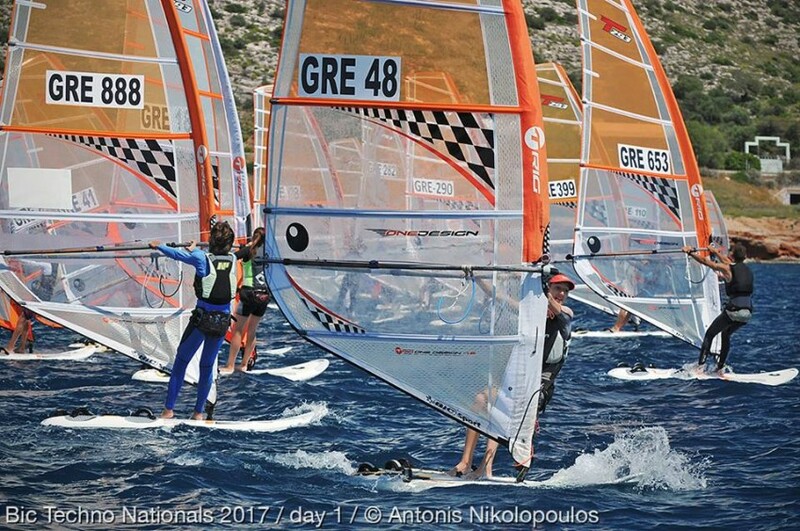 A similar battle took place among the T293 junior girls, with Lytra Eleni GRE 48 and Mouriki Amalia GRE 41 both from N.O.V. 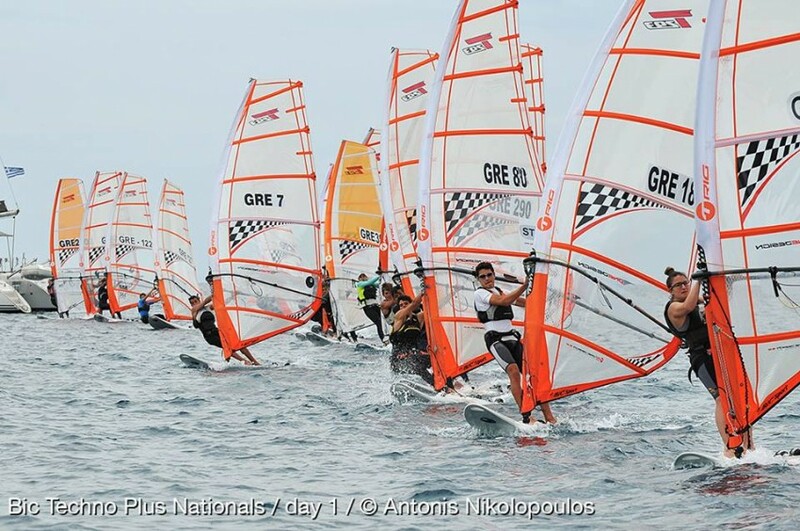 taking the 1st and 2nd place followed by athlete Mpohlogiroy Eleni GRE 8. 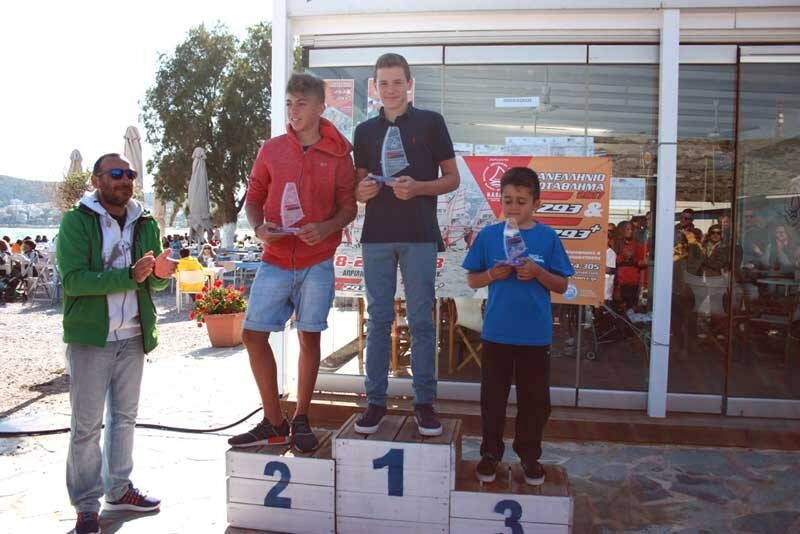 The T293 junior boys’ class was also exciting. 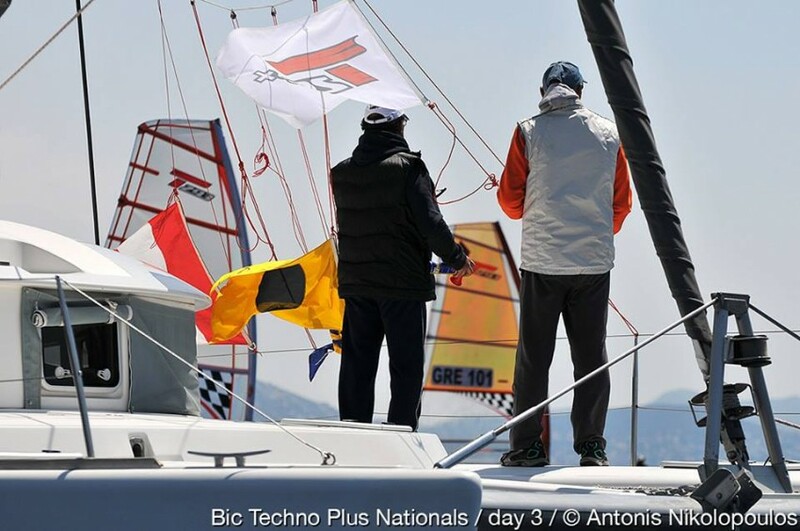 In the end, it was Karvouniaris Ioannis GRE 126 that took the victory followed by Zagorianos Dimitrios GRE 899 in 2nd and one of the youngest competitors in the fleet, Kontarinis Peter GRE 4 in 3rd. 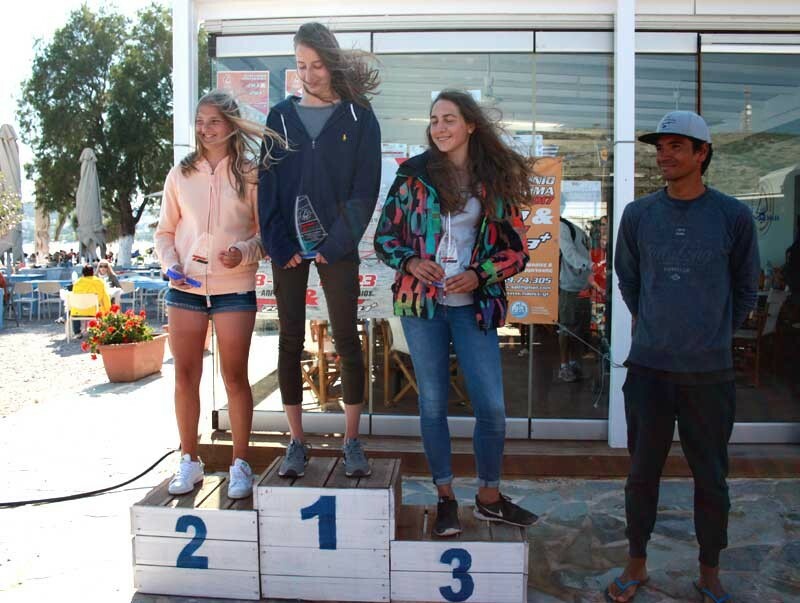 Further hard fought racing and exciting action was delivered by both U19 boys and girls competitors in the T293 Plus classes, which also contested at the championships. 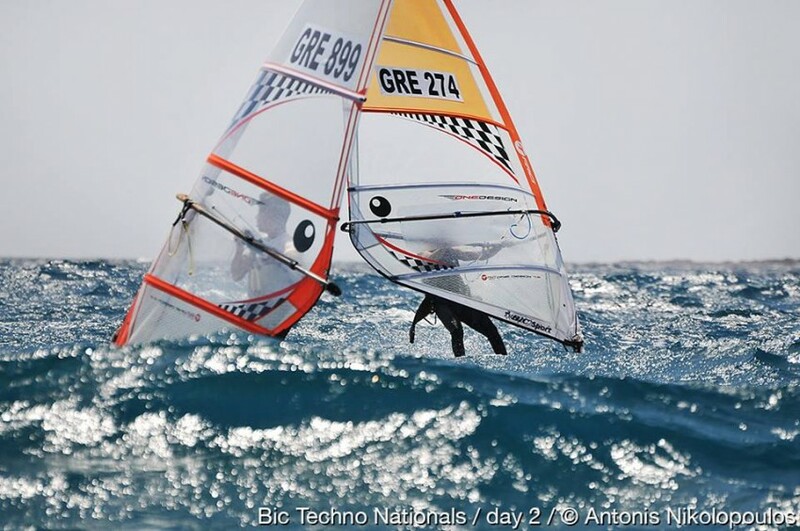 On the male side, the standings saw a number of changes over the course of the regatta but it was Tsortanides Leonidas GRE 80 ,the 2016 silver T293 World Champion from Andros island, who secured the victory, followed by Kalpogiannakis Alexandros GRE 2002 in 2nd and Manniadakis Emanouil GRE 18 in 3rd. 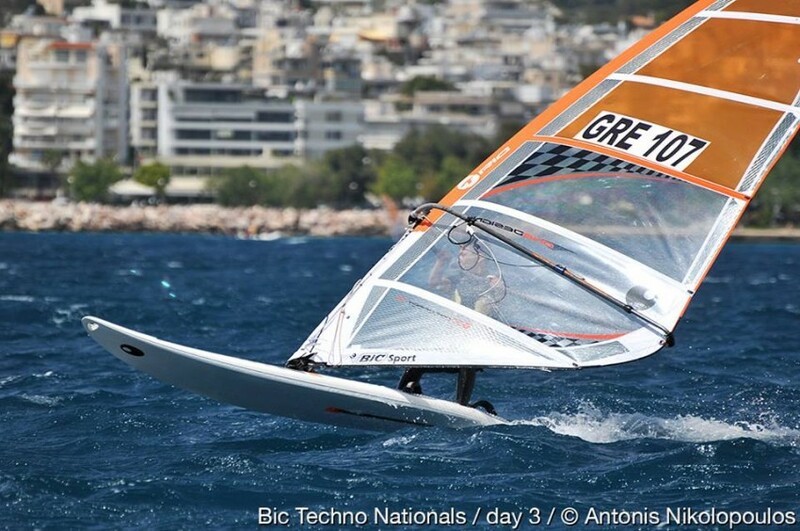 The youth girl’s T293 plus competition, meanwhile, was won by 2016 bronze T293 World Champion, Divari Aikaterini GRE 366 on home waters. 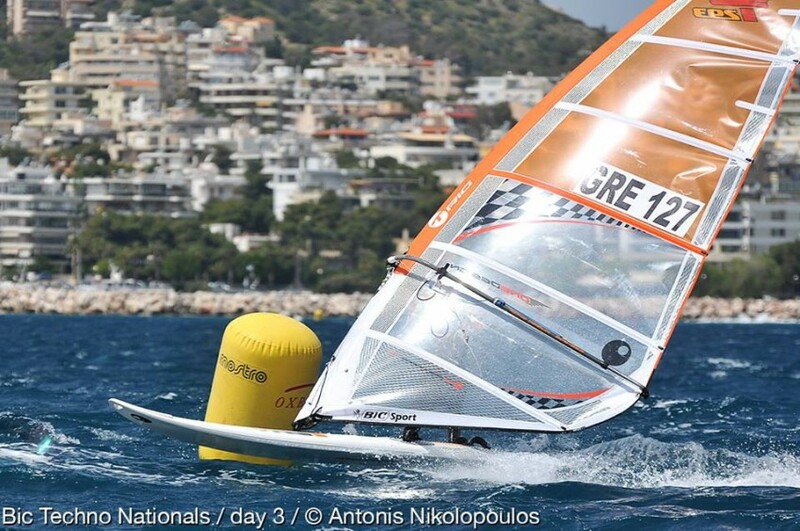 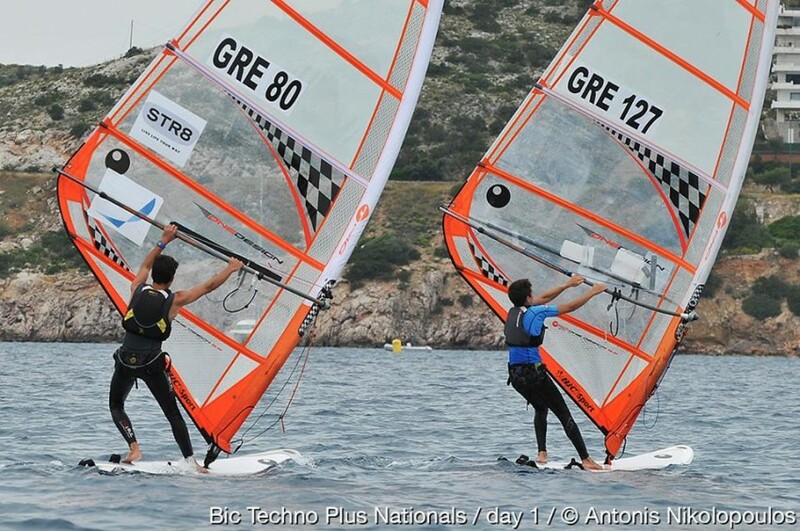 After nine races Karadinou Aliki GRE 33 finished in 2nd and Saravanou Aikaterini GRE 122 took the 3rd.